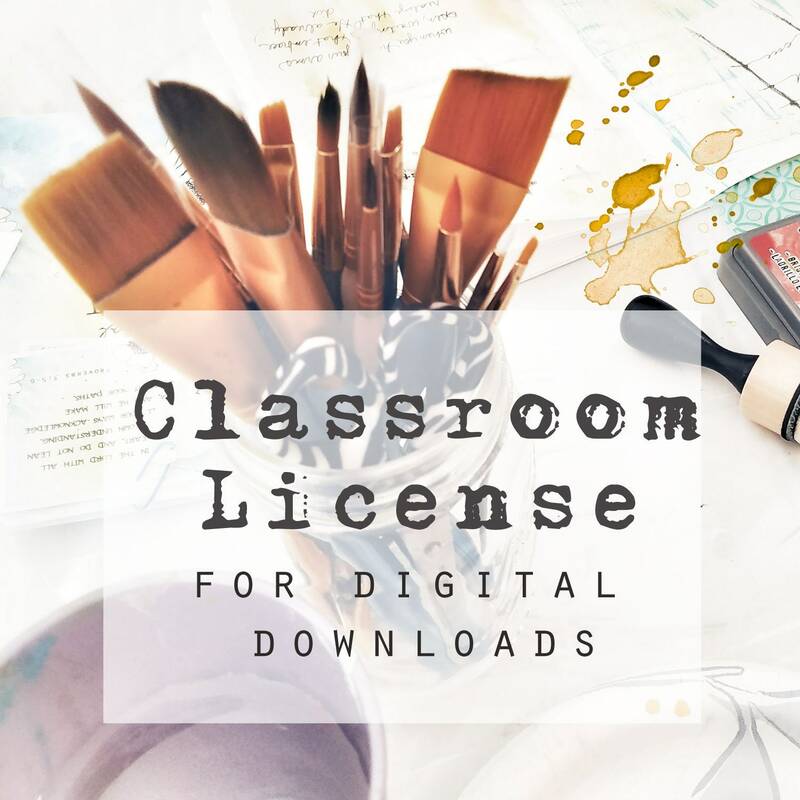 If you wish to use any of the digital downloads in a classroom or workshop, please purchase this Classroom License in addition to the product you wish to use, which allows you to share the digital download with each participant in your class for up to 25 students, for one class or a series with the same participants. Each separate listing or product in the shop that will be used for workshops/classes needs to be purchased with this CLASSROOM LICENSE. Please contact me with any questions you might have regarding the Classroom License.